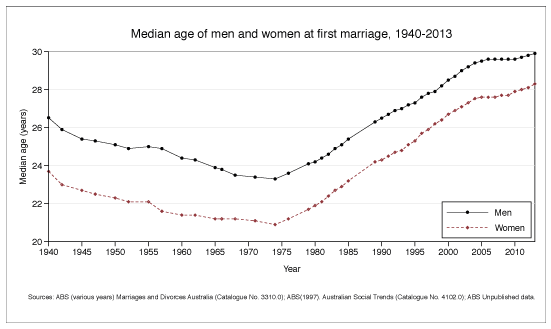 Sources: ABS (various years) Marriages and Divorces Australia (Catalogue no. 3310.0); ABS (1997) Australian Social Trends (Catalogue No. 4102.0); ABS Unpublished data. 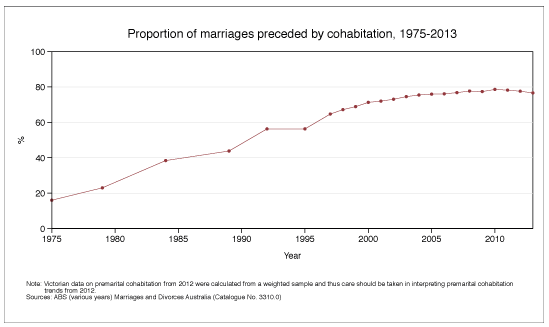 Data table - Proportion of marriages preceded by cohabitation, 1975-2013. 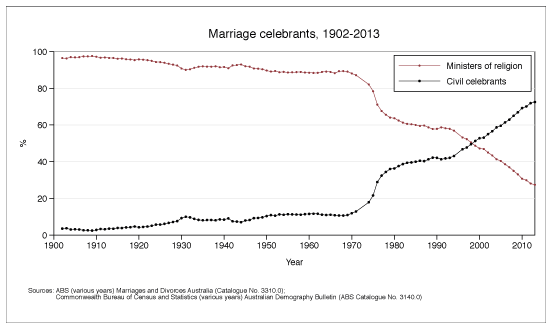 Note: Victorian data on premarital cohabitation from 2012 were calculated from a weighted sample and thus care should be taken in interpreting premarital cohabitation trends from 2012.
a. 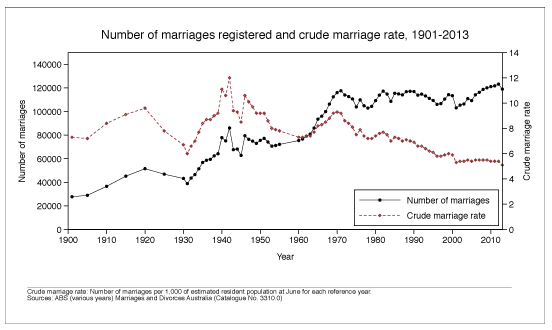 In 2013 data, a small number of marriages did not have the information of rite and thus the percentage sum is not 100%.